If you’re a fish, privacy doesn’t matter. Anyone can peek into your bowl. You eat, pee, and sleep(?) in full view of those around you. Kinda like the internet. Except on the internet, what you do in plain sight is a lot less natural, or at least naturally accepted. In nature, what creatures do follows a continuum that recycles itself over and over. Computers, however, store stuff. Lots of stuff. Even if you feel you have “nothing to hide”, the information being stored about you could influence the information you receive through searches and suggestions. You allow for the creation of your own self-satisfactory echo chamber by letting your data loose. And others profit. Instilling fear about this is useless. Unfortunately, one of the few ways people start caring about such a widespread issue is when it personally affects them. Notice some soft spots on the old tum? Hit the gym. Feel eyelids drooping day after day? Hit the sack a little earlier. Read agreeable things to justify your weakly-backed opinions? Oh, wait. Yin-Yang? Get outta here. It’s all about gray now. Neutral. To neutralize your online presence and save your brain from plateauing in the same way monotonous muscles do, there are a few tools to put in play. You’ve heard of VPNs, but how about VPN clients? Some of the best private networks exist outside of fancy software packages. They are strong networks as-is and don’t try to sell you on gimmicky design. That’s where Shimo comes in. 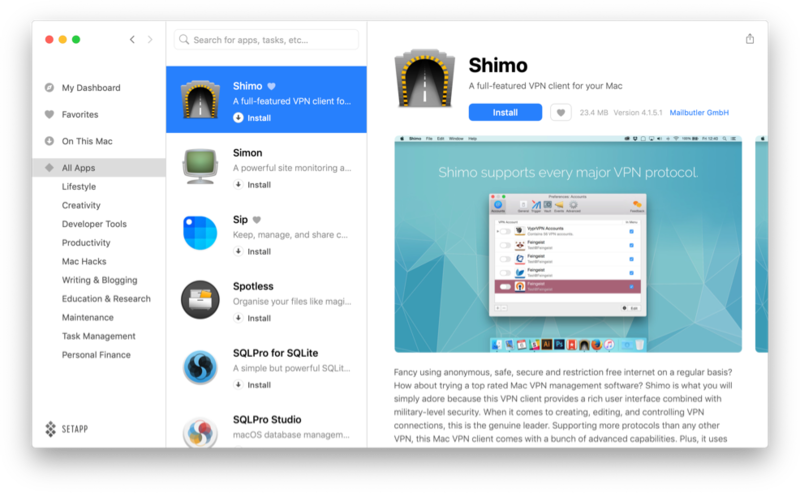 Since a VPN should reroute traffic in the background and let you continue on with your work, Shimo offers a powerful interface for setting up your virtual private networks to perform. When your traffic is obscured from network owners, you feel more free to browse. There’s no questioning how someone might interpret your search queries. And ads won’t feel like they’ve sifted through your mind. If you’re not using a password manager in 2019, who even are you? Where did you acquire such a mystical ability to flawlessly memorize hundreds of uniquely complex strings of letters and their corresponding websites? If you’re diligent and either have a password manager or haven’t found the one for you yet, try Secrets. Worst that could happen is it’s not better than your current one or still doesn’t fit your style. Best that could happen is you offload a lot of digital stress. Using any password manager is an instant confidence boost. Your mental RAM is relieved and accounts are accessible securely and instantaneously. A lot of physical wiping happens throughout the day. Hand drying and, eh, boot scraping. To get rid of what’s not needed. On your Mac, there are always fragments of information to get rid of, but you can’t always see them. In essence, everything you do leaves a breadcrumb behind to recall it faster later. Part of it involves the cache. Yes, the cache is automatically managed. But it means there is always a data trace of what has been done. Beyond computer caches, other elements store bits of history and chunks of files thought to have been deleted. Because nothing is ever really deleted — it’s like the Law of Thermodynamics. Entropy. Data, like matter, cannot be created nor destroyed. Just sorta scrambled. A data omelette. 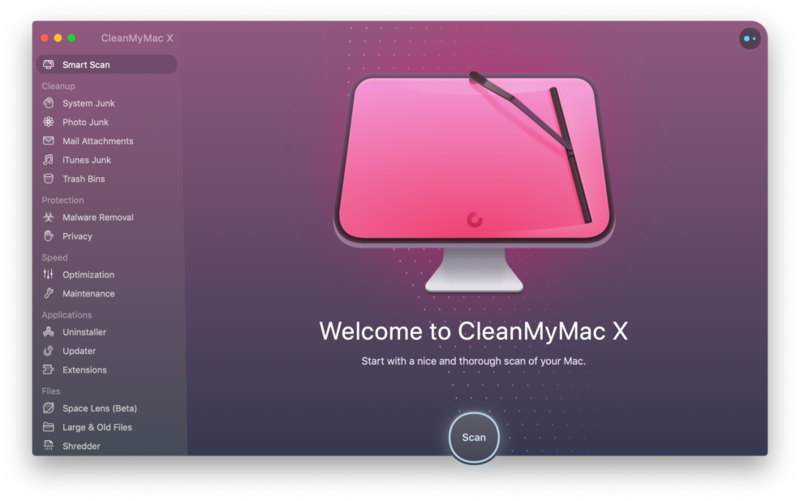 CleanMyMac cleans your Mac. Wipes away all unneeded, unnecessary, and undesirable cruft. The most secure messaging service is none at all. Except sometimes we need to chat with other people. It’s difficult to have an honest conversation with unwelcome eyes and ears present. And while it’s difficult to follow the research on what methods are the best for private, secure messaging, there are some basic principles that, when followed, keep you safer than not. The most basic quality of a secure chat is one that is end-to-end encrypted. That means no one can intercept the details while a message is in transit — or if they do, details will be incomprehensible. If you happen to use WhatsApp as your communicative weapon of choice, ChatMate for WhatsApp makes it super easy to sync chats to your Mac. WhatsApp has its own app, but it’s basically a web-app, or mirror. ChatMate was designed specifically for the service to really make the most of it. Similarly, Canary Mail enables simple setup end-to-end encryption for emails. And it looks beautiful on Mac. A journal is a very private log of your life. Physical journals are great. Digital journals are great. Digital scraps are not. For peace of mind when writing for your future self, write with an app like Journey. Writing detailed thoughts in Notes, separate text documents, or anywhere besides somewhere designated is bound for disaster. It’d be a shame to have them lost, or worse, found. Privacy doesn’t matter to most until they realize what a lack of it has kept them from achieving. And where it begins to matter, it becomes difficult to manage without proper protections. Just remember — on the internet, you are a fish. In a big, glass bowl. But as long as you are aware of your fishiness and mitigate your actions accordingly, you can swim freely.